Check out our latest Mitutoyo SALE at Gaging.com! Featuring excellent deals on Mitutoyo Micrometers, Calipers, Indicators, Optical Comparators and more! 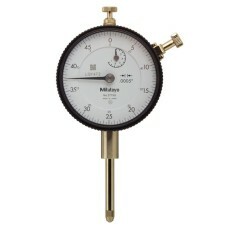 The 2776S Mitutoyo Series Two Dial Indicator 1" Range is on sale at Gaging.com! 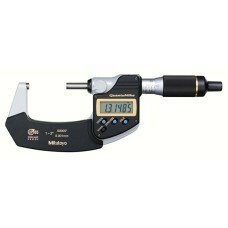 More stability..
*product may vary The 293-100 (MDH-25M) Mitutoyo High-Accuracy Sub-Micron Digimatic Micrometer 0-.. The 293-130 (MDH-25M) Mitutoyo High-Accuracy Sub-Micron Digimatic Micrometer 0-1", 0-25mm is on sale..
*product may differ The 293-180 Mitutoyo QUANTUMIKE Coolant Proof Micrometer 0-1", 0-25mm is on s..
*product may differ The 293-181 Mitutoyo QUANTUMIKE Coolant Proof Micrometer 1-2", 25-50mm is on ..
*product may differ The 293-182 Mitutoyo QUANTUMIKE Coolant Proof Micrometer with SPC Output 2-3"..
*product may differ The 293-183 Mitutoyo QUANTUMIKE Coolant Proof Micrometer with SPC Output 3-4".. 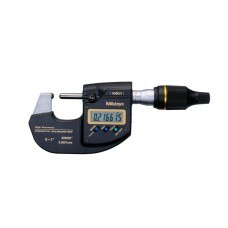 The 293-185 Mitutoyo QUANTUMIKE Coolant Proof Micrometer 0-1", 0-25mm is on sale at Gaging.com! We .. 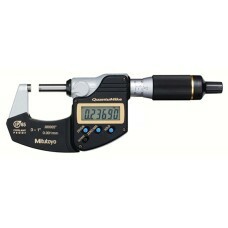 The 293-186 Mitutoyo QUANTUMIKE Coolant Proof Micrometer 1-2", 25-50mm is on sale at Gaging.com! We..
*product may differ The 293-187 Mitutoyo QUANTUMIKE Coolant Proof Micrometer 2-3"/50.8-76.2mm is ..
*product may differ The 293-188 Mitutoyo QUANTUMIKE Coolant Proof Micrometer 3-4"/76.2-101.6mm is.. 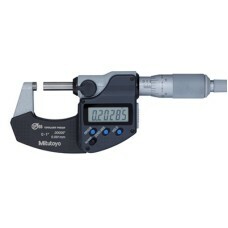 The 293-330-30 Mitutoyo MDC Electronic Micrometer with SPC Output 0-1"/0-25.4mm is on sale at Gagi..
* Product may vary The 293-331-30 Mitutoyo MDC Electronic Micrometer with SPC Output 1-2"/25.4-50..
* Product may vary The 293-341-30 Mitutoyo MDC Electronic Micrometer with Ratchet Stop and Standa..
* Product may vary The 293-344-30 Mitutoyo MDC Electronic Micrometer with Ratchet Thimble 0-1"/0-..